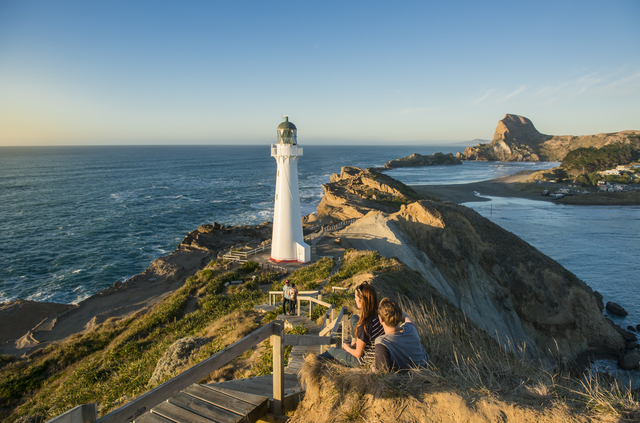 Castlepoint has been voted one of the country's top 10 most loved beaches. Just an hour from Masterton, it's the perfect getaway, with swimming, surfing, walking trails galore and a rugged east coast vibe. Fuel is available at the Whakataki Hotel 24 hours a day - pay at the pump. Wake up by the sea! 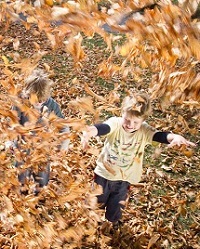 Book a bed on the Wairarapa coast. The lighthouse. First lit in 1913, it's one of the last two remaining beam lighthouses in NZ. Stroll up and imagine life as a lighthouse keeper - the last one was on the job until 1988. Fishing - try your luck! Pop into the beachfront store for a classic rolled icecream or espresso coffee. 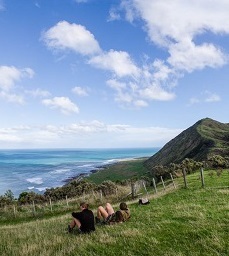 Check out our stunning Wairarapa coast! Here are some shots of Castlepoint and Cape Palliser.